Liquid Roc 200 hybrid urethane is a fast acting adhesive for use in the highest loading applications. 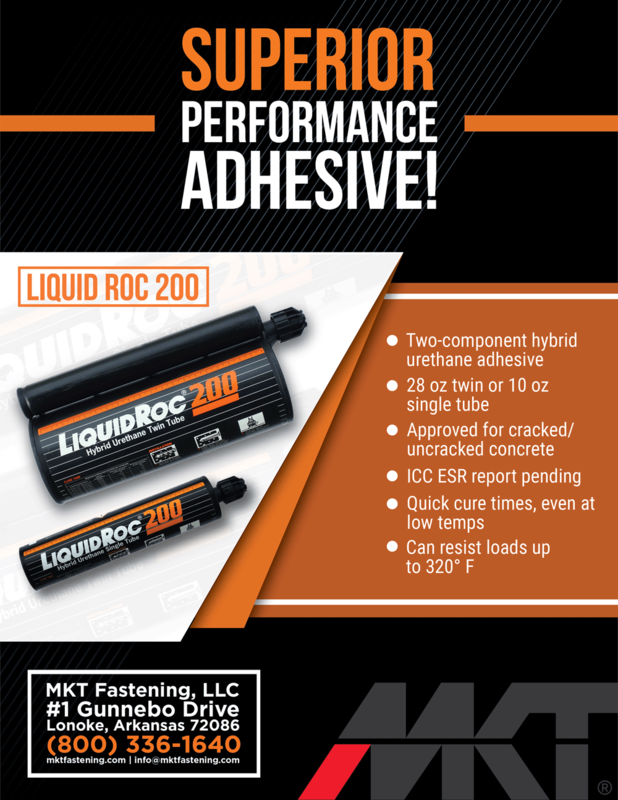 It can be used in cracked or uncracked concrete and for in service temperatures of up to 320° F. The Liquid Roc 200 adhesive can be applied down to 23° F and is certified safe for use in drinking water applications (NSF 61). Superior chemical resistance and quick cure times are also features of this versatile anchoring product.